Halio glass was one product that caught our eye at Greenbuild. See below for more info. Greenbuild, the largest annual conference and expo for sustainable construction, set up shop in Chicago this year, where we found 10 products that are pushing the envelope for innovation and efficiency. The show, which took place November 14-16 at Chicago’s McCormick Place, drew thousands of builders, architects, designers, and leaders working in the green building space. Presented by the U.S. Green Building Council (USGBC), the show included several updates to the LEED system, including a new certification process for buildings with net zero carbon emissions or net zero energy, water, or waste use. The 2018 theme, Human x Nature, represented “how the green building movement embraces all of humanity by making sustainable buildings and environments accessible to everyone while benefiting the natural environment all around us,” USGBC says. 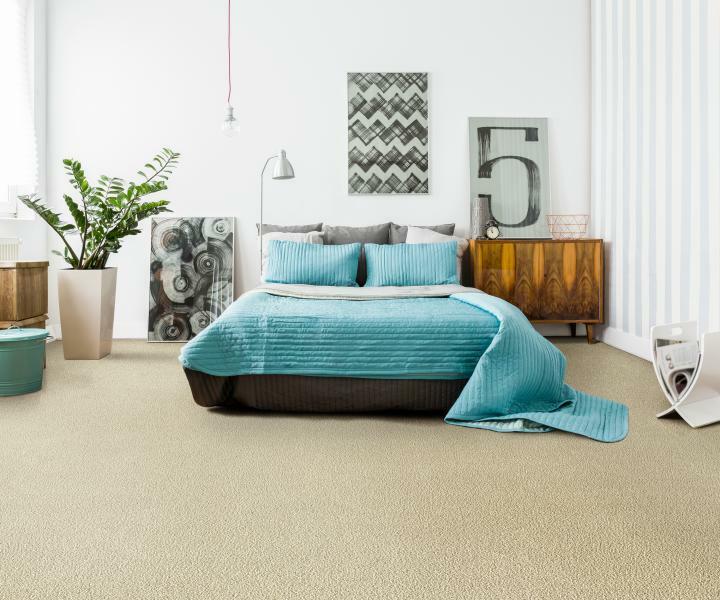 The flooring brand added four new styles to its Air.o soft flooring. The carpet-like material is made from up to 100 percent recycled plastic water bottles, and can be recycled again at the end of its life. The material is hypoallergenic, VOC-free, and does not absorb moisture. It features a built-in felt pad, made from the same recycled plastic, which allows air to move through the material and makes vacuuming more effective. 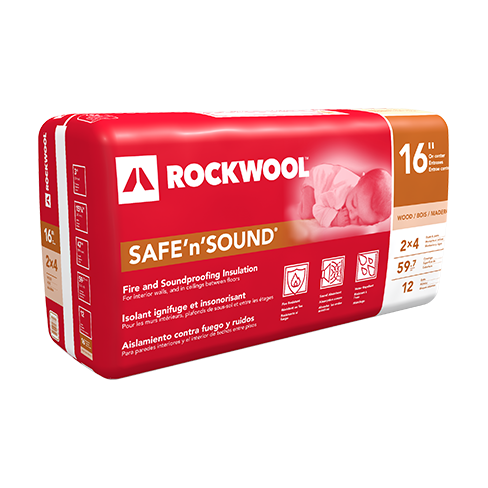 Safe’n’Sound is an insulation made from stone wool for use in interior wall partitions of residential wood and steel stud construction. It retains many of the characteristics of stone, including a melting point of 2150°F, low moisture absorption, high sound absorption, and resistance to mildew and mold. The lightweight product is dimensionally stable and can be cut to size on site. Two sizes are available for wood and steel studs. 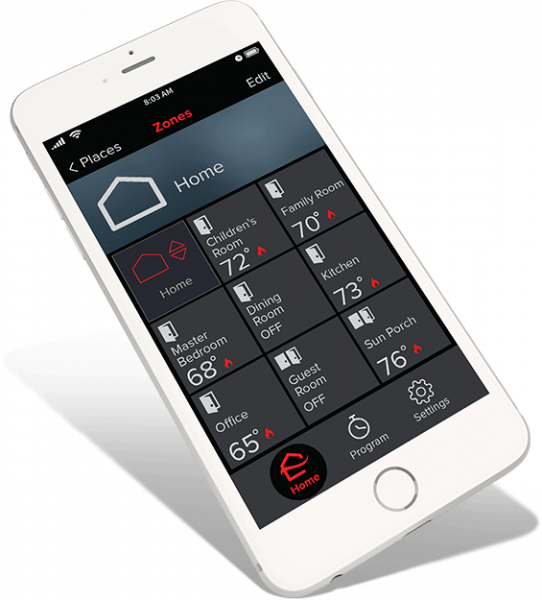 The HVAC manufacturer has released the Kumo Cloud mobile app for easy control of residential heating and cooling systems. The app allows homeowners to control systems remotely and adjust heating needs by individual rooms. Users can set schedules, control fan speeds, and and receive system alerts. The app can also be controlled through Amazon Alexa and Google Assistant. The manufacturer’s line of three-in-one HydroTap faucets debuted for the first time in the U.S. at Greenbuild 2018. The brand’s faucets instantly dispense filtered chilled, boiling, and sparkling water from a single spout. 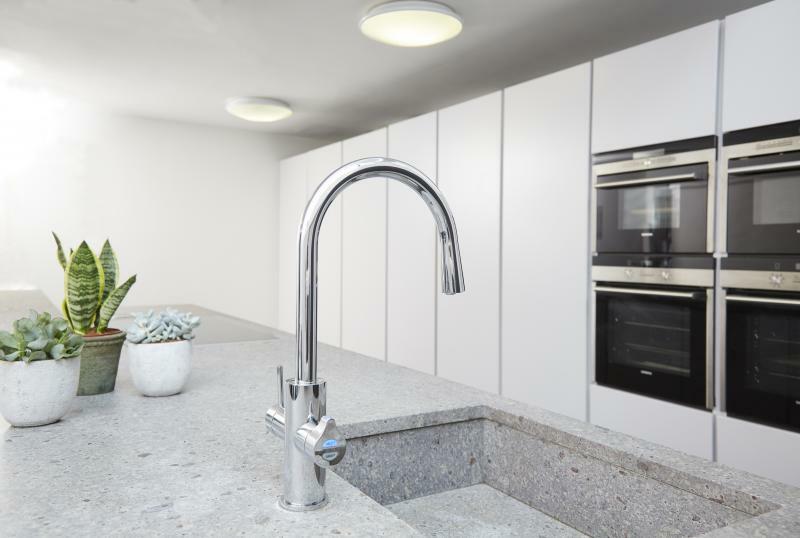 Several faucet styles are available, including the all-in-one Celsius Arc (shown) which can also act as a main kitchen faucet with typical cool-to-warm functionality. A number of finishes are available. 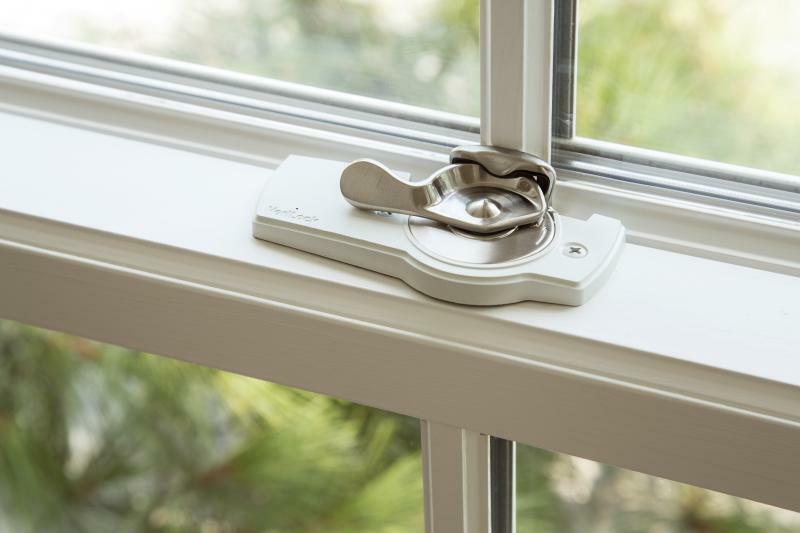 Windows are more energy efficient when locked, and so lock monitoring can help homeowners take action to save energy, the company says. Andersen’s VeriLock feature sensors that can tell if windows and doors are open or closed, locked or unlocked via communication with a smartphone application. The sensors are easy to install and compatible with all Anderson windows and patio doors. The smart tinting glass system from Halio can be used to manage glare and heat from incoming sunlight without blinds, blocking 99.9 percent of UV rays. Halio glass tints uniformly and can completely darken in three minutes. The windows can be controlled manually via an app, manual switch, or voice control. The system can also be set up to tint automatically or at scheduled times of day. The glass is compatible with most framing systems. 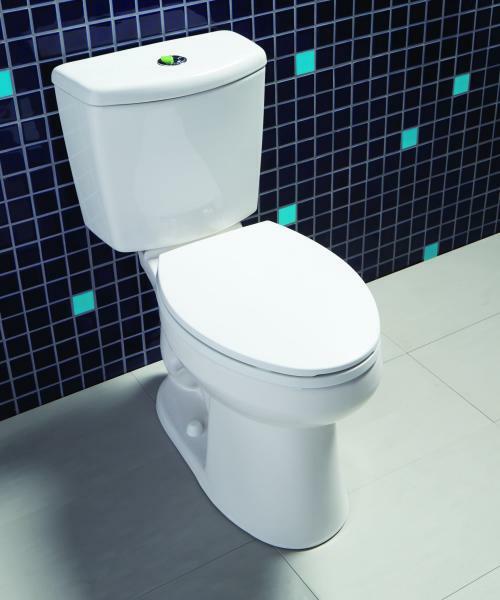 The compact Nano is the company’s most efficient toilet, using just 0.6 gallons per flush on average. The toilet features an elongated bowl and noise-cancelling tank, as well as dual flush operation that uses 0.5 or 0.8 gallons of water based on the user’s choice. The company’s Stealth Technology ensures a clean flush. The Teleshade with QIS from QMotion is an automated cassette shading system. The low-power motorized shades have the ability to be manually interrupted without breaking, the company says, and can be used to manage heat and daylight. Shades can be controlled via a wall switch, remote control, or smartphone app. Fabric options include the SheerWeave Infinity2 from Phifer, which 100 percent recyclable and Greenguard certified. Earlier this year, Kohler began generating Declare labels for select products through the International Living Future Institute. These labels act as an ingredient list, highlighting materials that may impact human health. 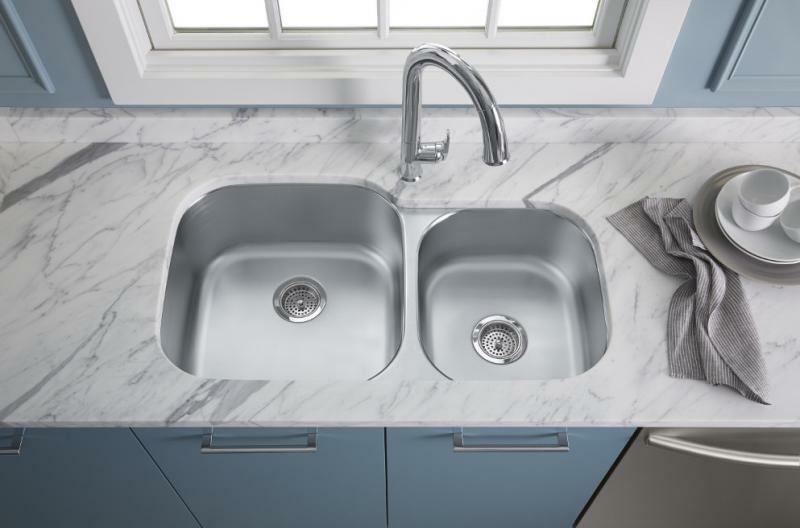 The company has also began to redesign products that use unnecessary materials, including the soundproofing on its Undertone sink, shown. 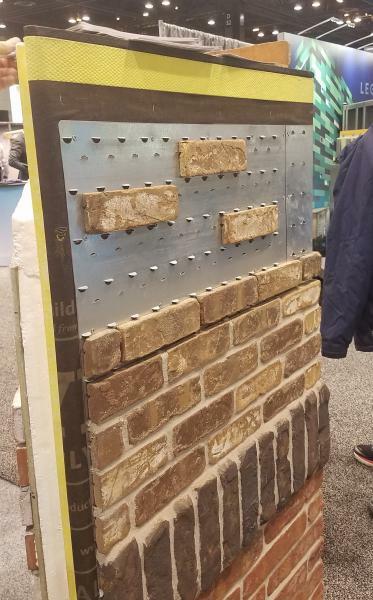 The BrickFast thin brick from McNear is installed using a panelized system that hooks slotted bricks onto metal tabs. Once hung, mortar can be applied, keeping bricks in place. The thin bricks have lower shipping costs and use less resources than standard brick. The panelized system also reduces the labor needed for installation.